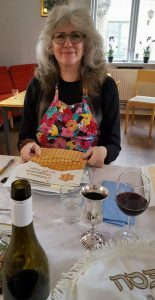 The matzah is all done with and this year’s Passover Seder with my Jewish-American-Swedish family is now just a pleasant memory. I thought I would post in this blog my little speech that I started off this year’s Seder with. In light of what has been happening in Europe these past few years I thought some things were important to say. Here’s what I said. Hi Everyone. I’m very glad to see you all again this year. I’m going to start off by saying that the past 12 months since last we met to celebrate Passover together, have been very stressful ones for me. Finding out last year, that I was not going to have a job by the end of this year would have sufficed to make my year difficult, all by itself. Then in May, I got sued for nonpayment of taxes on my little piece of property in the US and that alone once again, sufficed to make me very stressed. And finally in October, Håkan had a stroke and spent 2 months in the hospital, sufficing to send my stress levels sky high. So all in all, 2014 was not a good year. But here I stand, with all of you sitting here with me, once again getting ready to celebrate the seminal event of the Jewish people. Passover, the story of the Exodus of our People out of their slavery in Egypt into freedom so that they could live freely as Jews. At first I almost decided to not bother saying anything to start us off but then I realized that there was something that needed to be said. Recently the prime minister of Israel announced to all the Jews in the Diaspora, especially in Europe, that they should return home to Israel. That Israel was the only safe place for us to live as Jews. We read in the news of the fear French Jews have about remaining in France. Synagogues are being attacked. Jews are being killed for being Jews. Anti-Semitism is raising its ugly head once again here in Europe. Even as close as Copenhagen, a synagogue has been attacked and a Jew killed in defending it. So what do we do? Do we flee in fear of what might happen? Do we pack up and move? 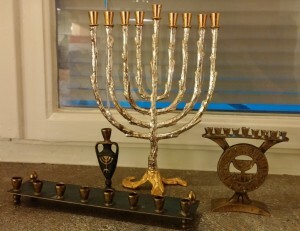 Do we try to hide, not telling anyone we are Jewish? 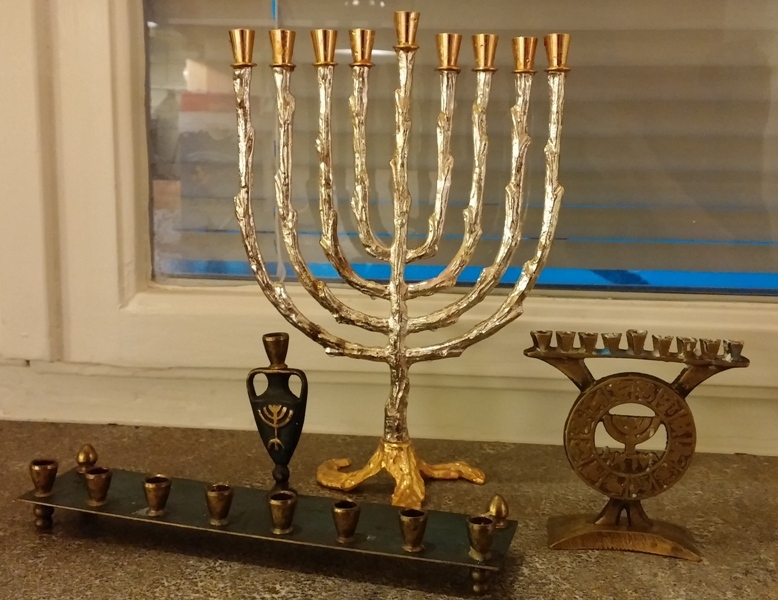 Do we close our curtains when we celebrate Passover or when we light the Chanukah lights so no one can tell we are different? Is danger just around the corner or is it still a long way in the future but coming nevertheless? Did the Jews in 15th century Spain, years before the expulsion, wonder if it was possible to continue to live there and maybe they should move? The majority of the Jews in 1930s Germany certainly didn’t think so. Are we being just as blind? 2000 years ago, the Romans expelled the Jews from their homeland, rather than murdering them all, thus casting them out onto the shores of many other lands. 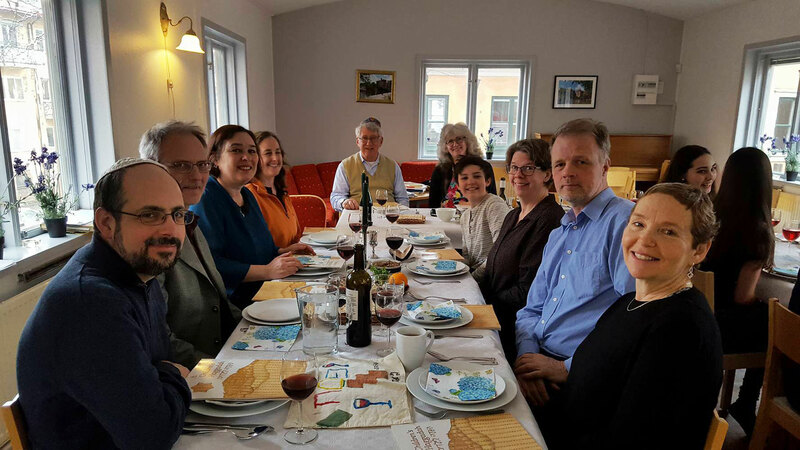 These Diaspora Jews found new homes and new ways to be able to continue to live as Jews in spite of the fact that the center of Jewish life, their Temple in Jerusalem, had been destroyed. If the Jews of that time, had simply been annihilated right where they lived as well as the temple being destroyed, then the Jewish people probably would not have survived to today. But we are still here. 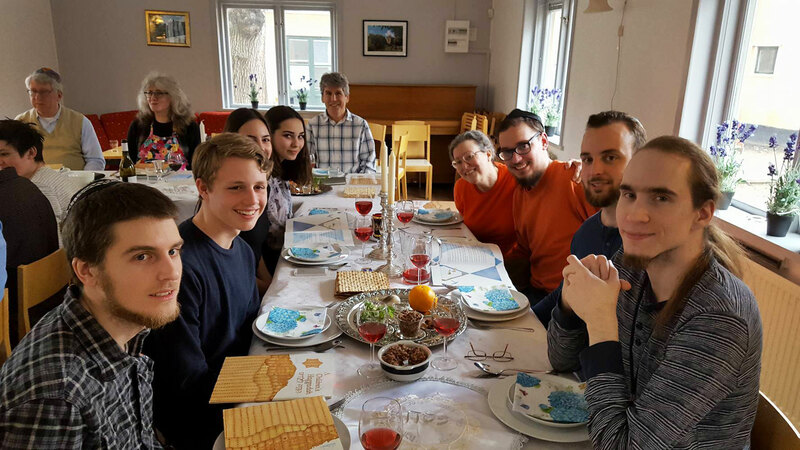 We learned how to continue to live as Jews in many different lands. We survived precisely because we no longer lived in only one place anymore. I am a Diaspora Jew. I am not an Israeli and I don’t intend to move there. While I come from the United States, my home is here in Sweden, in Europe, and I doubt I will ever move back there again. The Bible says that the Jews will be a light unto the Nations. Well, I say, how can we even begin to be that unless we live among the Nations. Four hundred years ago, when Kings had real power, the king of Spain wanted us out. Ninety years ago the chancellor of Germany wanted us dead. But governments today, for the most part, don’t feel that way – we are seen as equal citizens with guaranteed equal rights – at least in Europe and the west. And I accept that as reality. 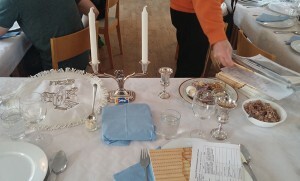 So today I stand here in Stockholm, with my Jewish family, about to celebrate the Passover. When people who I meet or know slightly have asked my for my plans for Easter I feel no hesitation in telling them I don’t celebrate Easter. I am a Jew. I celebrate Passover. And if we have time I tell them what it is that I am celebrating. They always appear very interested in hearing what I have to say about it. I feel that that is my small contribution to the light. And perhaps this coming year will be a better one.